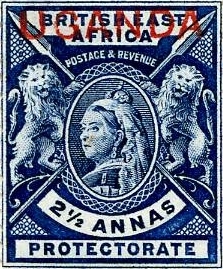 The East Africa Study Circle currently has around 150 members throughout the world and meets three times a year on Saturday afternoons in February and September (to coincide with Stampex) and in mid June. Auctions are held in February and September (preceding a meeting). Members receive the three annual bulletins, can borrow books from the circle's library, buy/sell in the society's auctions, have access to the leading specialists in the field and the EASC Members Area where there are digital copies of BEA and many other downloads. The subscription can be paid in Sterling (GBP), US dollar or Euro banknotes or by cheque drawn on a UK bank, made payable to 'The East Africa Study Circle' and by Paypal on our Join Us page.